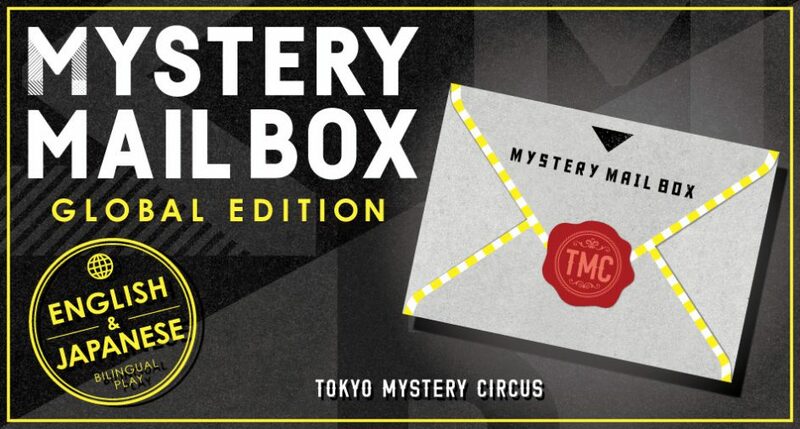 MYSTERY MAIL BOX Global Edition released!! A version of the game that has both English and Japanese instructions. The game can be played if you can understand simple English or Japanese. A compilation of puzzles that are based on intuition – an experience of the world’s standards. ② Solve the puzzles that are in the game kit’s envelope. *Please note that after a ticket is bought, we are unable to change or refund it if it is due to the customer’s personal circumstances. Q.Can non-Japanese speakers play the game? A. English versions are available for this game so non-Japanese speakers who can understand English are welcome to play the game as well! Q.Can I buy tickets from overseas? A.Yes, the ticketing sites allow you to purchase tickets using your credit card. Q.Are there walk-in / at-the-door tickets? A.Yes there are, but it will depend on the edition. For room type editions, you will be able to purchase tickets on the spot only if there are available slots for that timing. We cannot guarantee that you can join the slot of your preferred timing. For hall and stadium type editions, there will be at-the-door tickets as long as tickets are not listed as "sold out" on the ticketing page. To be safe, please try to buy advanced tickets online before coming for the games. A.There is no time limit for this game. It may take awhile to compeletely clear the game, so please give ample time to play this game. Although the game should not take more than a day to finish, if you run out of time personally, you can continue from where you stopped on another day. Q. We want to play in a group. Do we need to buy a game kit for every player? A.You'll enjoy the game better by purchasing a game kit for everyone! Q.Can I reveal the puzzles on my blog or on Twitter? A.Spoilers are prohibited for this game. Do not upload answers or photos of the puzzles to your blog, Facebook, Instagram, Twitter, or any other digital platform. Please also be careful when you discuss the answers to the game after it has ended. There will be many players in the same floor or facility who have not tried the game yet! Q.I lost my game kit halfway through the game. Can I receive a new one? A.Sorry, but we are unable to replace your lost game kit. Please purchase a new one to continue playing the game. A.A "hints page" is available, so please use it if you are stuck on a puzzle. More details on the hints page can be found in your game kit.